A quality head lamp can make a huge difference to the hunter heading to his stand or blind in the dark not to mention those of us who have dressed (or boned out) big game in the dark. The Browning Epic 1AA Headlamp has the provern quality and performance you expect, as voted on by readers in the Game and Fish 2016 Readers' Choice Awards. A quality head lamp can make a huge difference to the hunter heading to his stand or blind in the dark not to mention those of us who have dressed (or boned out) big game in the dark. The Browning Epic 1AA Headlamp has the provern quality and performance you expect, as voted on by readers in the Game and Fish 2016 Readers&apos; Choice Awards. 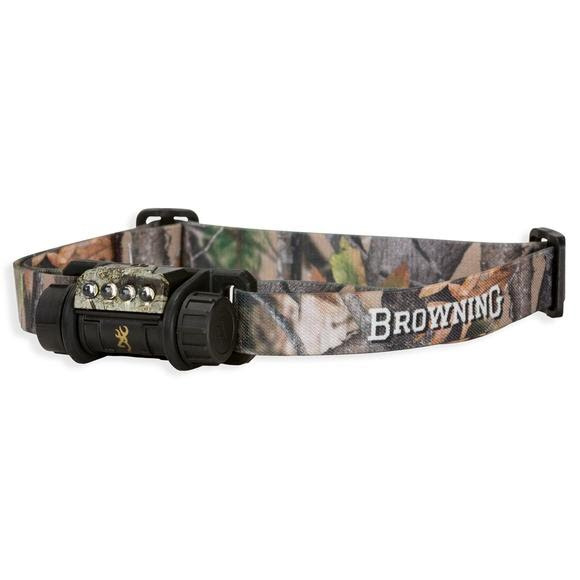 The Browning Epic Headlamp combines single-battery power with multiple LED lampheads and high-output circuits to deliver maximum performance, along with minimal size and weight. A flexible elastomer headplate makes the Epic so comfortable you might forget you&apos;re wearing one. Made to work while you work. The advanced ergonomic design keeps the light close to your head to keep a steady beam on the subject, even when you are active or in motion. Theyâ€™re rugged and ready to roll on an Epic adventure.